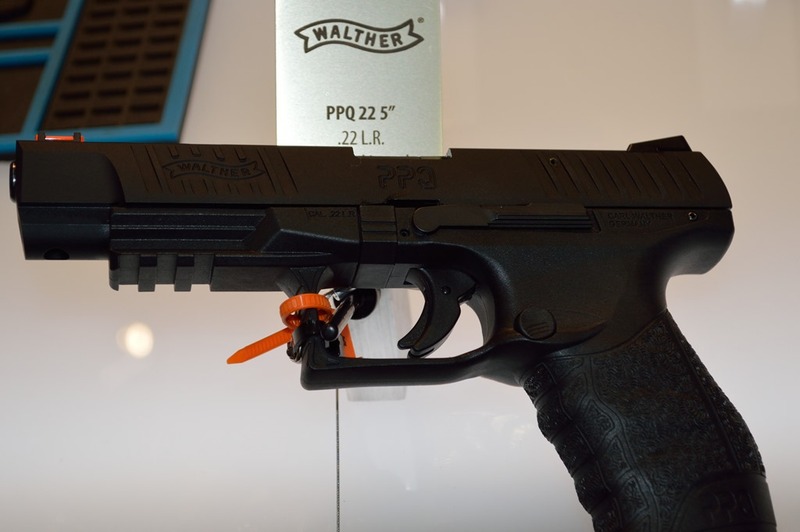 I was invited to Walther’s Press Conference were I received an comprehensive overview of Walther’s new PPQ M2 5” 9mm pistol. I’ll start with the sights, which Walther describe as rapid acquisition. The sighting system is a three dot system with the rear sight adjustable for windage. Included is a Picatinny rail for optional accessories, a three safety system similar to Glock’s design, two drop safeties and a firing pin block. This PPQ has the best feel of any polymer pistol I’ve handled and that includes Glock’s. The slide lock / release is ambidextrous and extended; the trigger guard is roomy; those two features alone make handling the PPQ M2 with a gloved hand a snap. 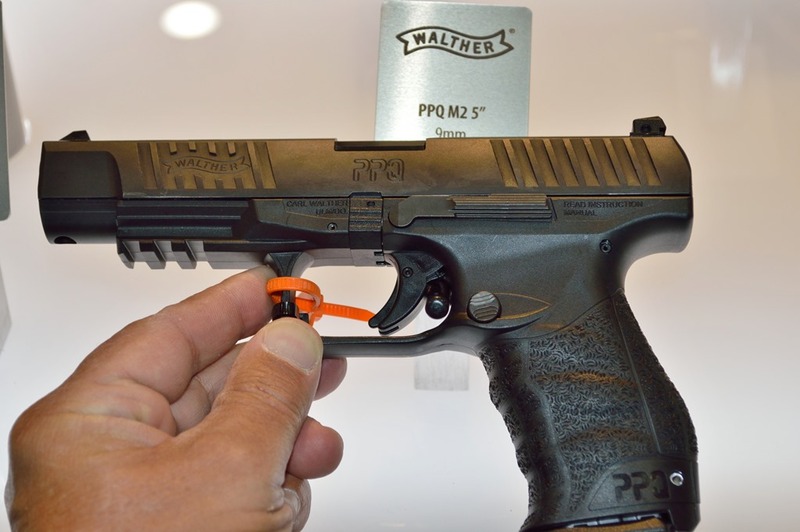 Walther did away with the paddle style magazine release in response to U.S. market preferences; in its place, they add a reversible button magazine release. I personally like the paddle style release but I understand the need to make that change for the domestic market. The PPQ M2 5” is chambered in 9mm and .40 S&W. The pistol has a capacity of 15 and 11 rounds respectively. Another feature unique to the PPQ M2 5” is the vented slide, these are non functional. Walther’s objective was to reduce weight and improve the pistol’s balance. The PPQ M2 5”is a polymer frame striker fired with one of the best triggers in the market. The trigger is factory set at a 5.5 lb pull with a very short and crisp trigger reset. Like all of the PPQ’s the slide is Tenifer coated. M.S.R.P. is $749. The Walther PPQ M2 5” .22LR is the same as its center fire siblings with exception of the fiber optic front sight. Magazine capacity is 12 rounds. MSRP $400 – $500 range. This entry was posted in 2014, pistols, SHOT SHOWS, Weapon systems and tagged .22LR, 40 S&W, 9mm, PPQ M2, Walther. Bookmark the permalink.